Director : Francis Ford Coppola. Writers & Screen play : Francis Ford Coppola, Mario Puzo. 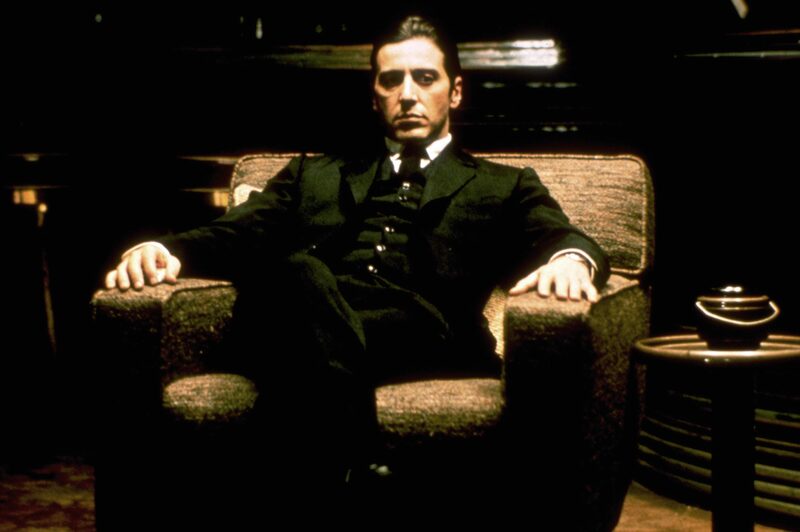 Cast : Al Pacino, Robert Duvall, Diane Keaton, Robert De Niro, John Cazale, Talia Shire, Lee Strasberg, Michael V. Gazzo, G.D. Spradlin, Richard Bright, Gastone Moschin, Tom Rosqui, Bruno Kirby, Frank Sivero, Francesca De Sapio, Morgana King, Marianna Hill, Leopoldo Trieste, Dominic Chianese, Amerigo Tot, Troy Donahue, John Aprea, Joe Spinell, James Caan, Abe Vigoda, Tere Livrano, Gianni Russo, Maria Carta, Oreste Baldini, Giuseppe Sillato, Mario Cotone, James Gounaris, Fay Spain, Harry Dean Stanton, James Murdock, Carmine Caridi, Danny Aiello, , Carmine Foresta, Nick Discenza, Joseph Medaglia, William Bowers, Joseph Della Sorte, Carmen Argenziano, Joe Lo Grippo, Ezio Flagello, Livio Giorgi, Kathleen Beller, Saveria Mazzola, Tito Alba, Johnny Naranjo, Elda Maida, Salvatore Po, Ignazio Pappalardo, Andrea Maugeri, Peter LaCorte, Vincent Coppola, Peter Donat, Tom Dahlgren, Paul B. Brown, Phil Feldman, Roger Corman, Ivonne Coll, Joe De Nicola, Edward Van Sickle, Gabriella Belloni, , Richard Watson, Venancia Grangerard, Erica Yohn, Teresa Tirelli. Genres : Cinema & Drama. When Al Pacino & Robert De Niro appear in the same film, the viewer is guaranteed to be in for a treat. Just sit back, follow the storyline and be entertained. This is the sequel to ‘The Godfather’ movie which follows the story of the Corleone mafia family. The young Vito Corleone (De Niro) who grows up in Sicily, and his Son the protagonist Michael Corleone (Pacino) as he builds up the family crime business across the United States. Words cannot do this movie justice. There are so many amazing scenes and quotes that will remain relevant forever. One of those movies you can easily watch over and over again and still be encapsulated every time.